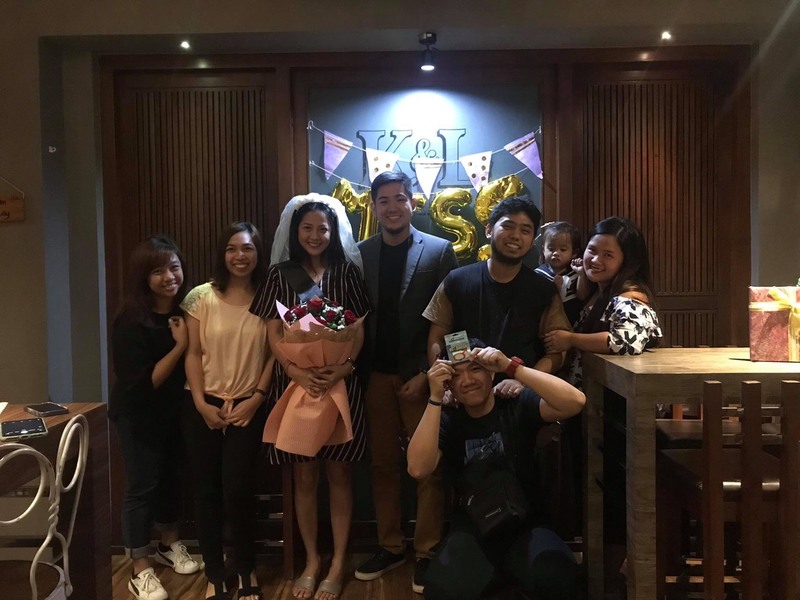 Revisit at K&L Cafe + Bridal Shower Party! 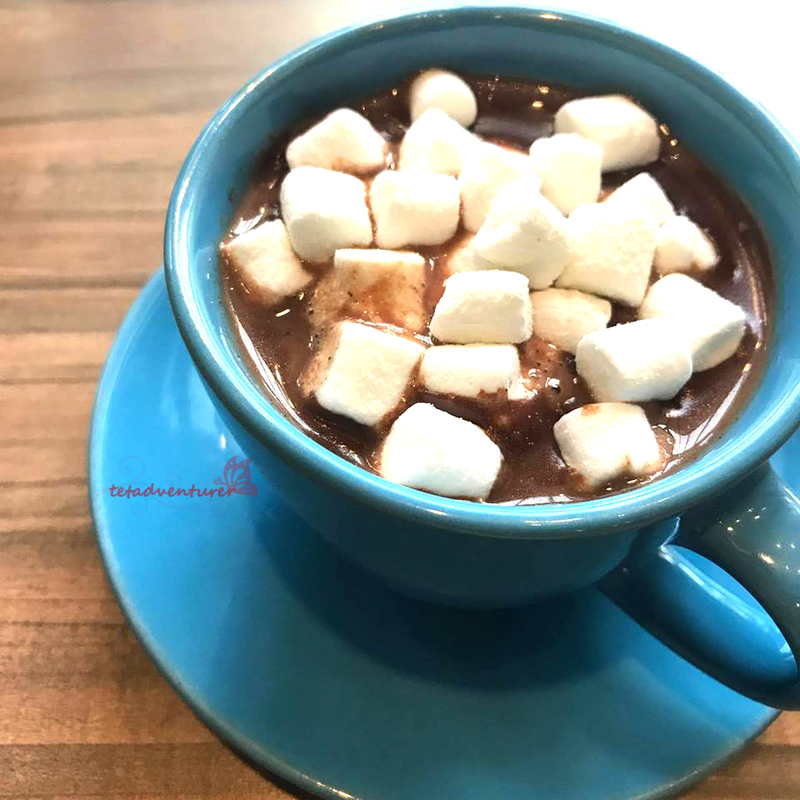 Hot Baguio Chocolate Tablea (139 pesos) - Thick, Creamy and Bittersweet hot chocolate topped with mallows. Stir for a couple of seconds, then the mallows will start to melt. Such a comforting drink any weather of the day! Chocolate Chip Pancakes with Peanut Butter (209 pesos) - I was surprised when they served me this pancake. 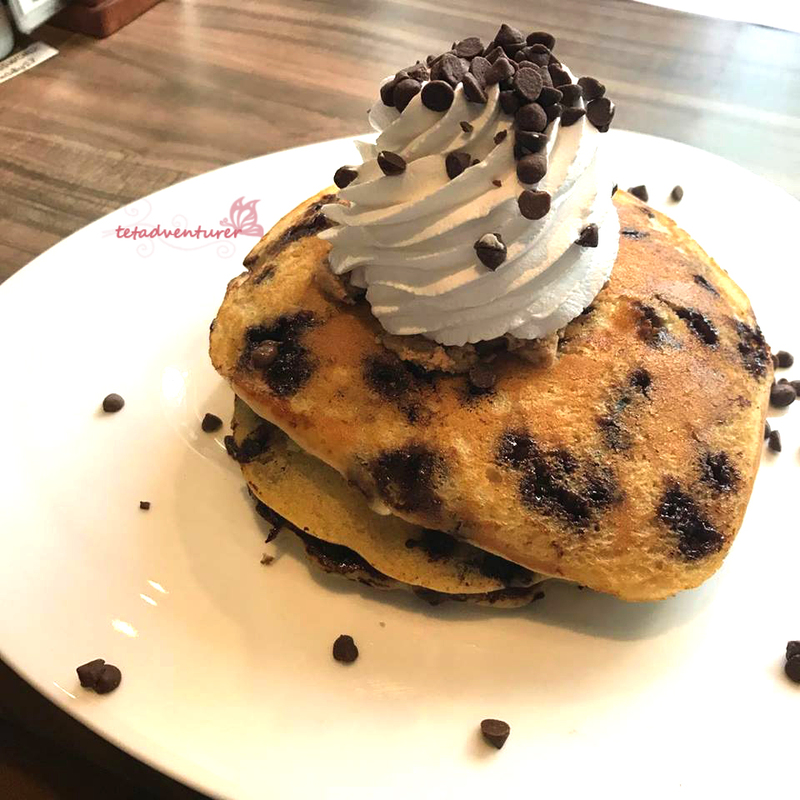 3 layers of pancakes, generously sprinkled with chocolate chips and peanut butter blob in between! 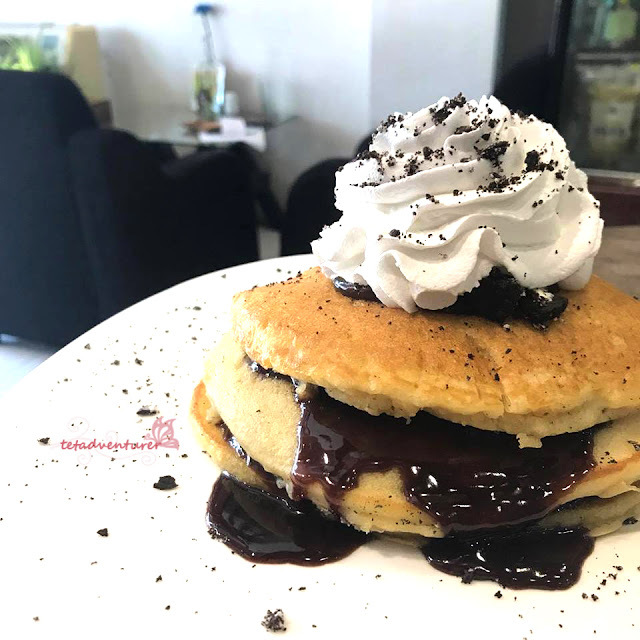 Choco Ganache with Stuffed Oreos (259 pesos) - Same goes for this! It's huge and good for sharing! This one was smothered with chocolate ganache and chunks of Oreo cookies! 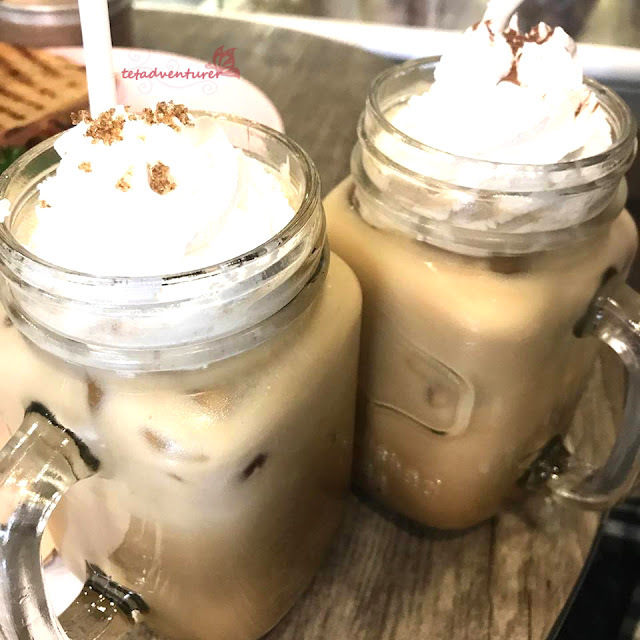 French Vanilla Latte (135 pesos) / Maple Caramel Latte (135 pesos) - I also loved their coffee based drinks. Coffee Beans all the way up from Baguio City! 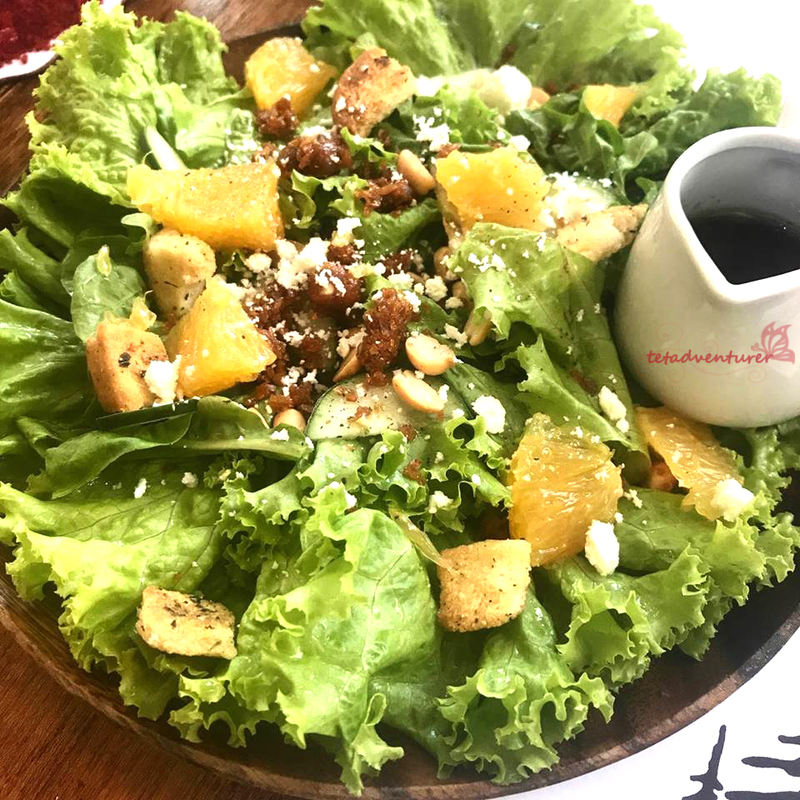 Session Salad with Strawberry Wine (249 pesos) - Another personal favorite from K & L! Fresh greens on their homemade vinaigrette dressing! It's so good that I try to replicate this salad on our home. I loved the bits of peanut brittle you will taste on every bite! 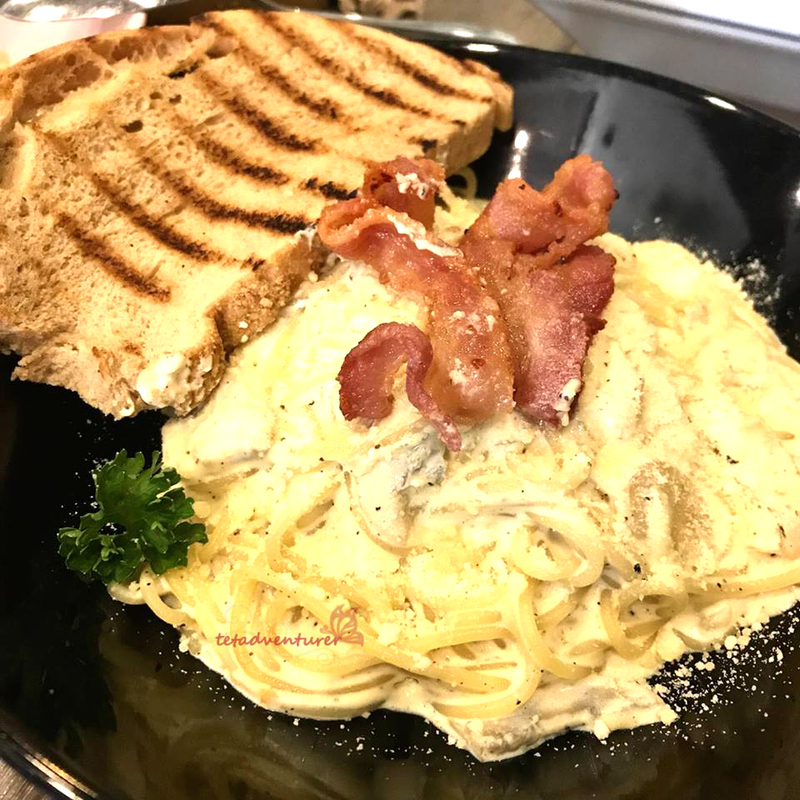 Bacon Mushroom Alfredo (227 pesos) - I just loved how they generously put sauce on their pastas! But the best of all this is their Bacon! 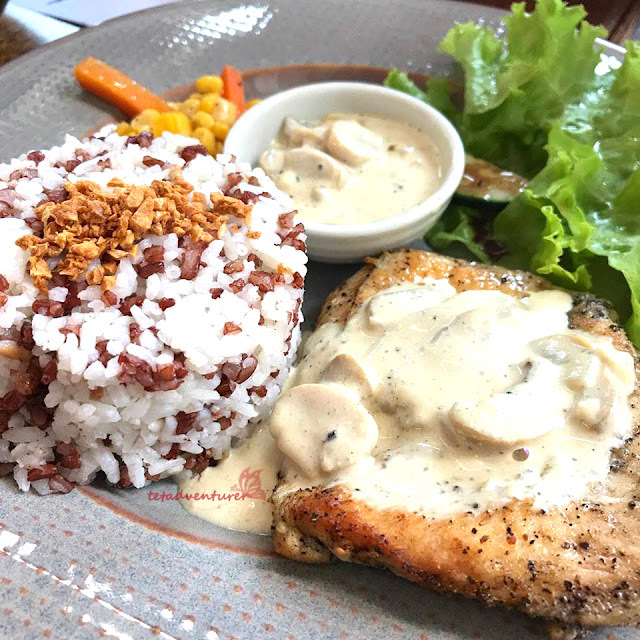 I am not such a fan of crispy bacon and I prefer this moist, sweet and chewy meat! --- So this is a thumbs up for me! 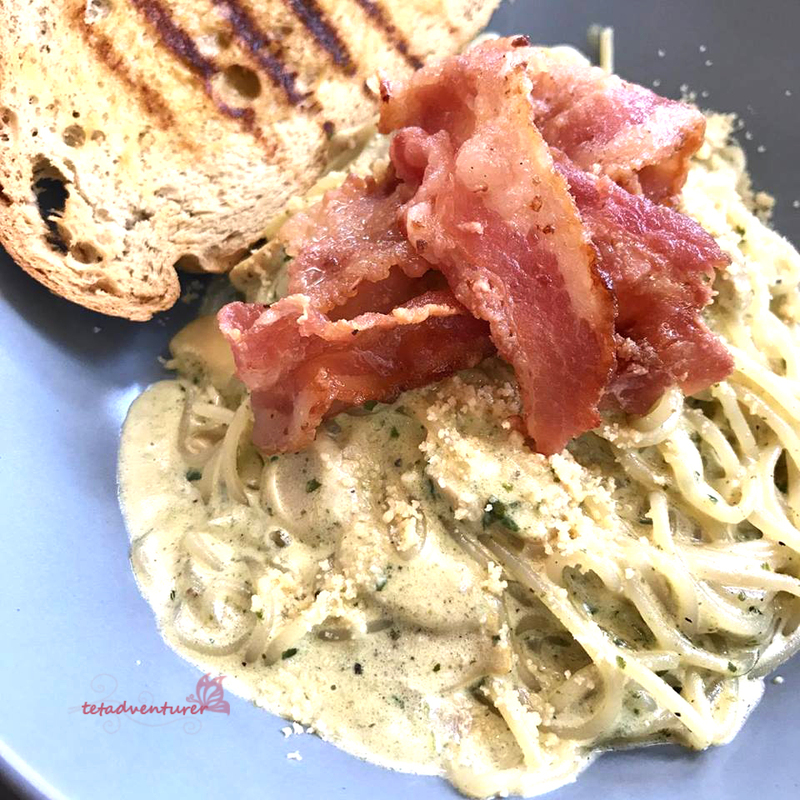 Creamy Bacon Pasta (227 pesos) - ... I will recommend their Creamy Bacon Pasta! I really loved how they incorporated their pesto sauce and cream on the pasta. 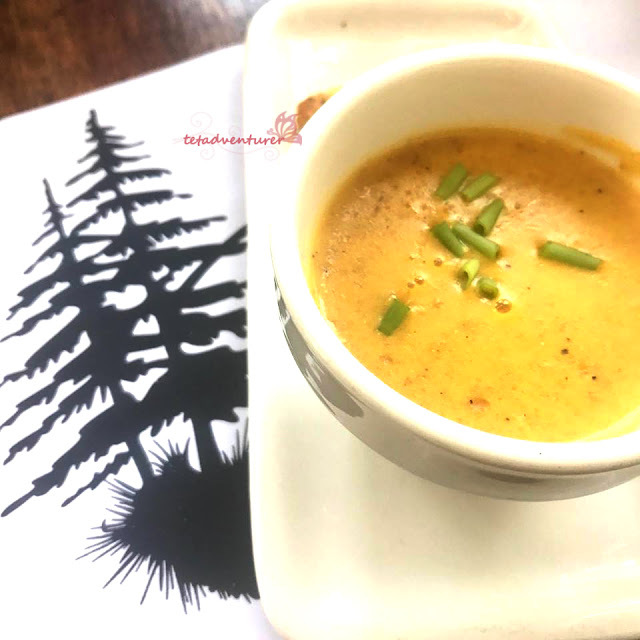 But during on our latest visit (will post on the later part) it did not taste as great as I remembered it to be. BUT! 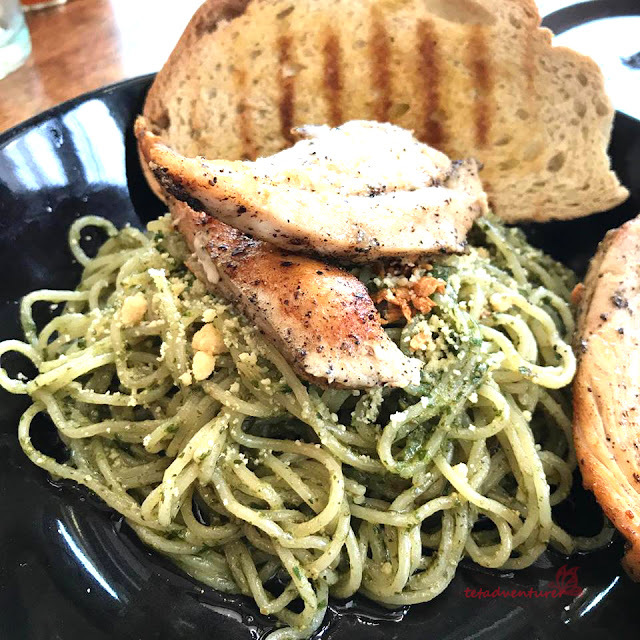 This is still included on my list for the best tasting pesto in town. 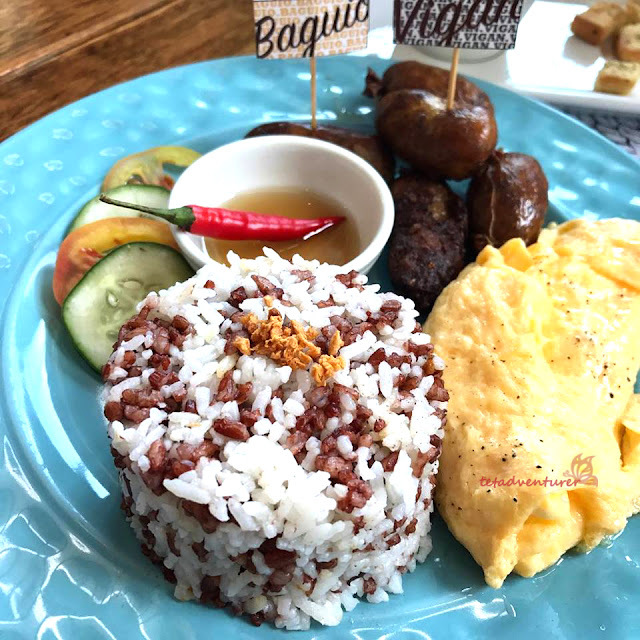 Longanisa Up North (249 pesos) - Vigan + Baguio longganisa served with the locally grown rice and fluffy eggs! Chicken and Mushroom (247 pesos) - I forgot about this dish, but I think it's good since my friend finished it all. Hahah! 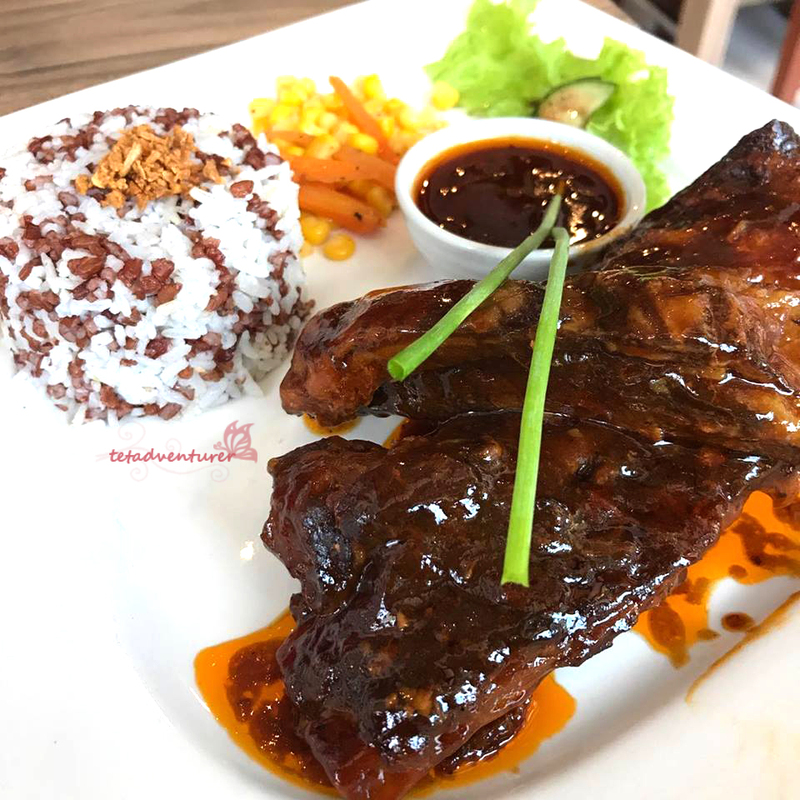 Daddy's Bourbon American Ribs (429 pesos) - This would be my favorite dish from K &L Cafe. It might be quite pricey, but it's totally worth it. My friends were even surprised how huge was the serving size of this one. I think the ribs alone can be shared by three regular eaters! 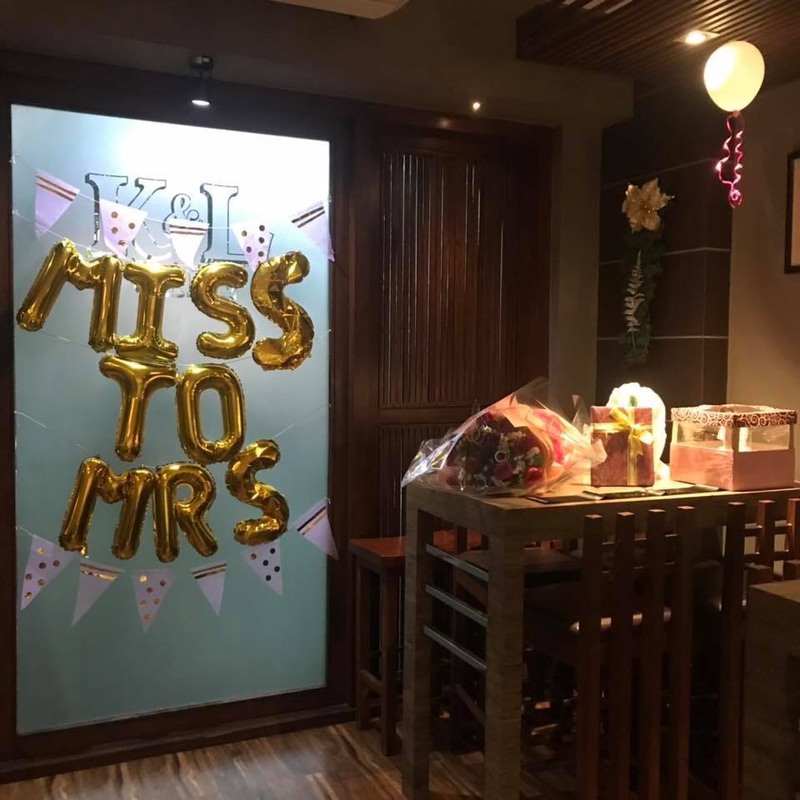 And do you know that K&L Cafe can also cater your private functions? 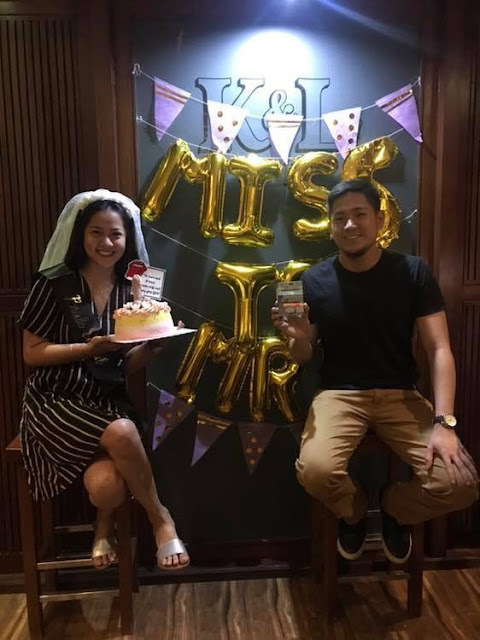 We planned our surprised bridal shower to our friend last November. 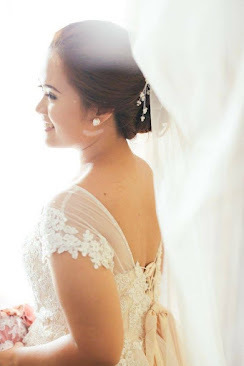 We had their consumable package for 5,000 pesos for 3 hours (no decors included). Sad that we were too excited with the surprised that we failed to take pictures of the foods we've ordered. Hahah! But what's good about them is you may opt to bring your own decors and do it for yourself. We had the entire second floor all by ourselves for three hours. It's really sulit! 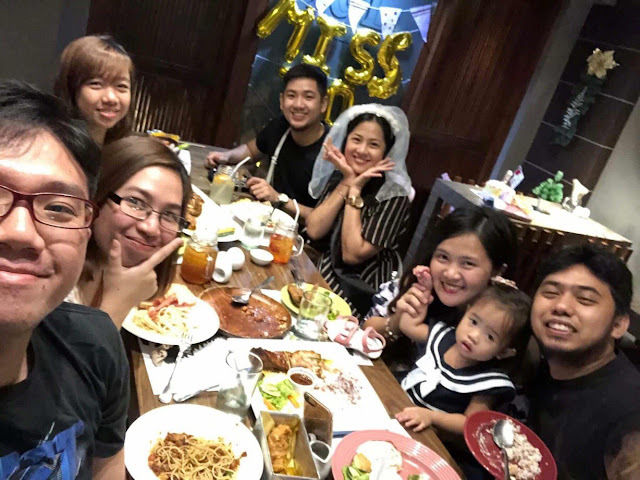 We celebrated with great food in a wonderful place! If you are looking for Baguio feels and haven't been in this place. Then make sure to put this to your list!